The idea of a resort is nothing new. Even in the days of the Roman Empire, the wealthy traveled to coastal towns to get away—Mersea Island in Essex, England, and Baiae on the Gulf of Naples in Italy are two examples. The French Riviera, known as a prominent place to romp, preen, and be seen, has been in vogue since the late 1700s. Whether beside a sea or in a desert, a “resort” today has numerous interpretations: an all-inclusive setup with an emphasis on fun; a spa haven with a focus on health; accommodations in proximity to some main attraction. In truth, labels can be deceiving, which is why discerning travelers, determined to spend their time and money wisely, appreciate firsthand insights from reliable experts. Those seeking an exclusive sanctuary in Miami, a.k.a. 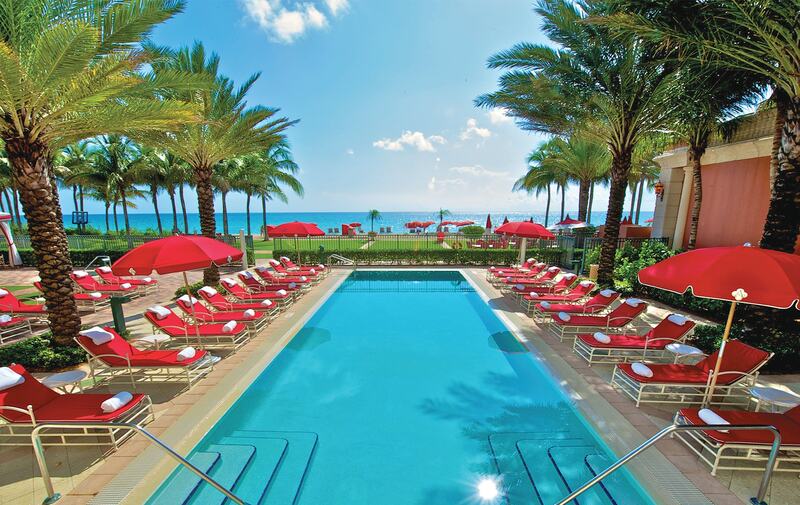 the Magic City, should note that the accolades bestowed upon Acqualina Resort & Spa are rare, especially in combination. In 2017 alone, the property received the following honors: AAA’s Five-Diamond rating, earned by only 0.4 percent of twenty-eight thousand hotels worldwide; Five Stars from Forbes Travel Guide; TripAdvisor’s Top Luxury Beachfront Hotel in the Continental U.S. for the third consecutive year; and U.S. News & World Report’s annual Best Hotels Awards—number one in Florida and Miami Beach, and a top ten in the United States. 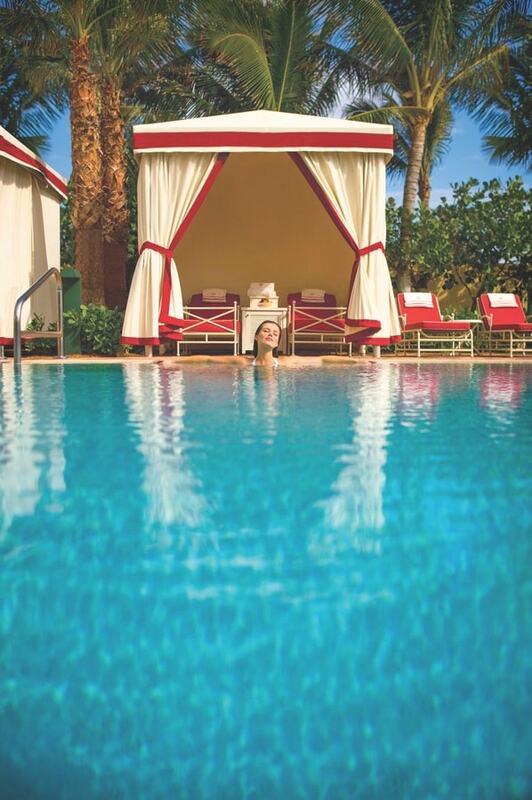 Acqualina Resort and Spa offers four incredible swimming pools for guests: the family Beach Club Pool, the adults-only Tranquility Pool, the exciting Recreation Pool, and the exclusive ESPA Pool. 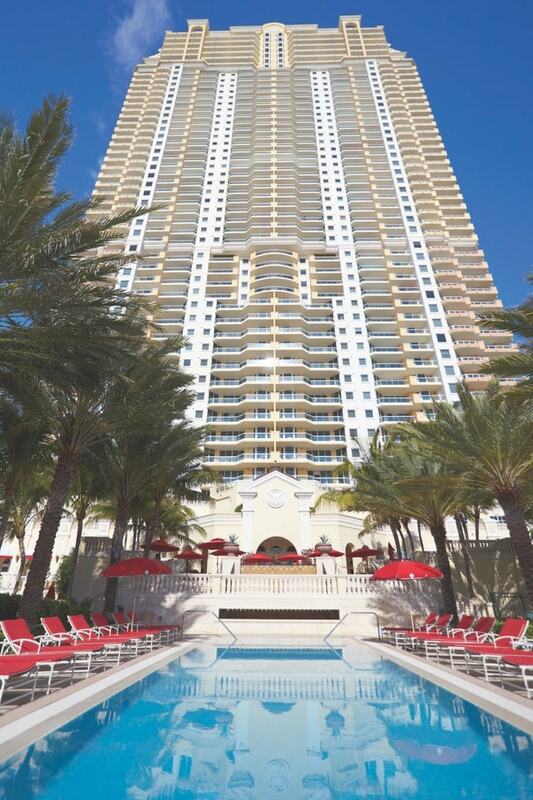 Opened in 2006, Acqualina Resort & Spa on Sunny Isles Beach was the vision of Jules Trump, a South African native who arrived in New York in the 1970s. Jules and his brother Eddie (they are not related to President Trump) made their mark in luxury real estate before heading to Florida and finding Sunny Isles, a barrier island that at the time was inhabited by motels in disrepair. Today, the tract of land (just over two and a quarter square miles) holds some of the most valuable real estate in South Florida. The resort’s location is a treasure. Four and a half acres of beachfront property face the Atlantic Ocean to the east and overlook the Intracoastal Waterway to the west. The pristine four-hundred-foot beach and turquoise waters seem a world away from the hustle and bustle, yet Acqualina is merely five minutes from the exclusive Bal Harbour Shops, a quick drive to Miami Beach and South Beach, and less than thirty minutes from either Fort Lauderdale-Hollywood International Airport or Miami International Airport. 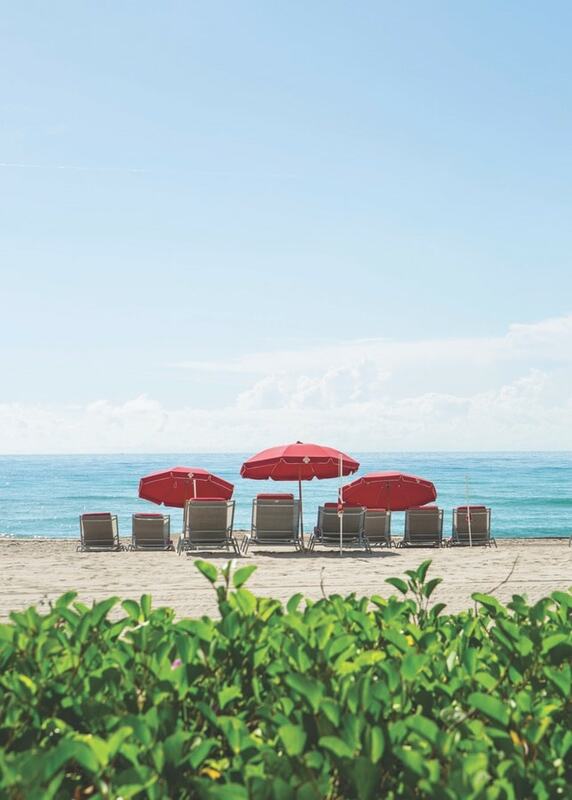 Beach umbrellas, plush lounges, and beach butler service are just a few indulgences that make Acqualina Resort’s beach one of the most treasured in the area. Situated anywhere, Acqualina would be alluring, but given the setting, Jules and his team have produced what he calls “the charm of a Mediterranean villa meets elegance on the beach.” Simply put, he says, “We created the Florida Riviera.” For design inspiration, he called upon Italian actress Sophia Loren, long admired for her impeccable sense of style and vibrant spirit. “She felt the authenticity we were achieving to create,” Jules shares. In a third-party interview, Loren said, “There is a fountain of youth; it is your mind, your talents, the creativity you bring to your life and the lives of people you love. When you learn to tap this source, you will truly have defeated age.” On multiple levels, Acqualina personifies her zest for life and grace. The resort’s signature color, for instance, is crimson red. It gives a vibrant pop to the house car—a dignified Rolls Royce —as well as to cabanas, loungers, and umbrellas. Timeless beauty appears in classic archways and imported marble with intricate inlays throughout the property. Maintaining the resort’s residential ambience, the tower houses fifty-four guest rooms and forty-four suites, all of which have oversized private balconies. No floor has more than five units. For a modern but stately quality, celebrated Miami designer Isabel Tragash utilized a natural, soothing color palette of gray, taupe, and celadon. Fit for royalty, fine furnishings (sand-hued carpeting with tide-rippled sculpting; walnut-framed, channel-tufted wraparound headboards; large-format plasma televisions; signature wingback chairs; smoked glass and bronze tables; and expansive spa baths) and sumptuous fabrics (chinchilla, silk, velvet, satin, and bouclé) are intended for pleasure and comfort. Moreover, general manager Christof Pignet says, “In advance of our guests’ arrival, we try to obtain their preferences. We also take care of any requests they have while they’re here.” Services are available around the clock, and to introduce the possibilities, front desk personnel invite guests to take a personal property tour. Amenities include three swimming pools, each of which is open to views of the ocean, with one reserved for adults only; multiple dining options, including the renowned Il Mulino New York; grand rooms for meetings and social affairs; a state-of-the-art kids’ activities room; and a two-story, twenty-thousand-square-foot ESPA-branded spa. Masterfully designed and outfitted, the five-star Acqualina Spa by ESPA is one of the world’s most exclusive health and beauty brands. It embodies luxury with two Himalayan salt walls, eleven multifunctional treatment rooms, his and hers relaxation lounges, saunas and steam rooms, a private spa suite for two, and an outdoor terrace with a spa pool, a heated pool, and a Roman waterfall. The only downside of visiting such a sanctuary is the inevitability of having to leave. 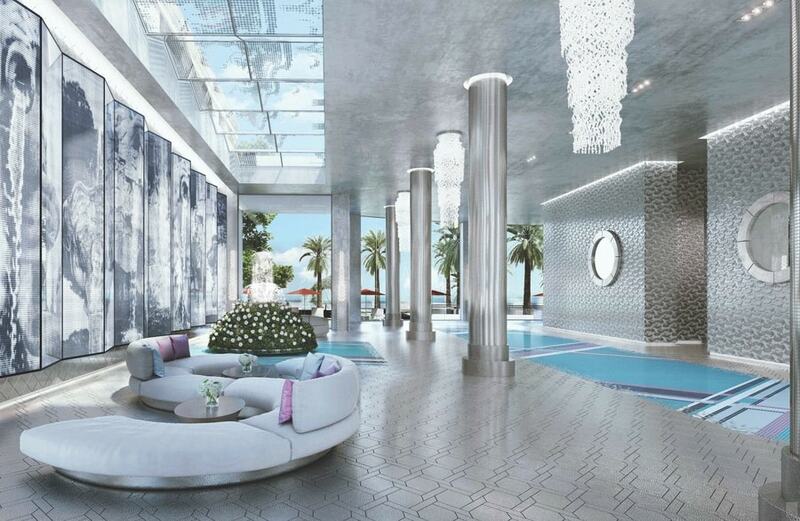 The Estates at Acqualina is a brand-new residential concept adjacent to the resort that is predicted to open in 2020. The chic, modern interior design of the lobby at The Estates was created by fashion industry icon Karl Lagerfeld. Thankfully, adjacent property to the south made way for The Mansions at Acqualina, a tower of seventy-nine private luxury residences with all the privileges of the resort. Not surprisingly, its debut in the fall of 2015 ignited demand for more homes. Therefore, breaking ground next to the resort on the north side in 2017, the first phase of Acqualina’s second residential development, The Estates at Acqualina, opens at the end of 2020. 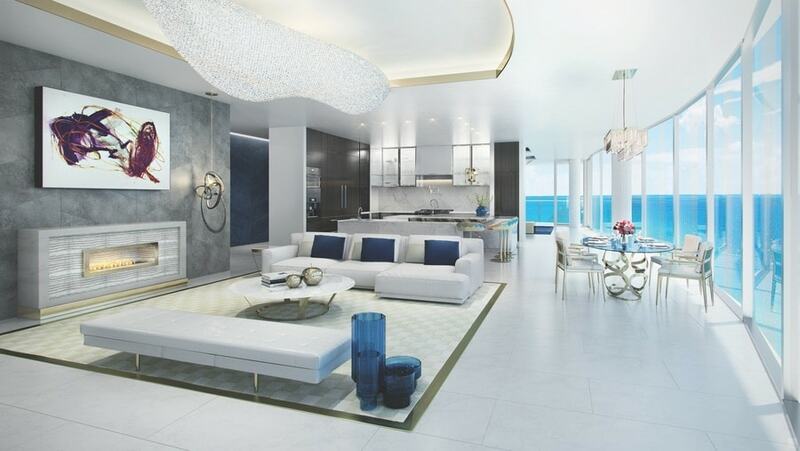 “Following on the heels of the hugely successful sellout of our mansions in the sky,” says Jules, “The Estates at Acqualina will go even further. Beyond feasting their eyes, residents and their guests can anticipate fifty thousand square feet of extraordinary amenities to include a spa, a salt room, and a world-class fitness facility. Indulgences continue with celebrity chef dining and a two-story speakeasy complete with dance platforms, a bar and lounge, and a wine room. Additionally, the highlight for many is Circus Maximus, which will have an ice-skating rink, a Formula One simulator, a golf simulator, a bowling alley, a movie theater, and the Wall Street Trader’s Club Room. 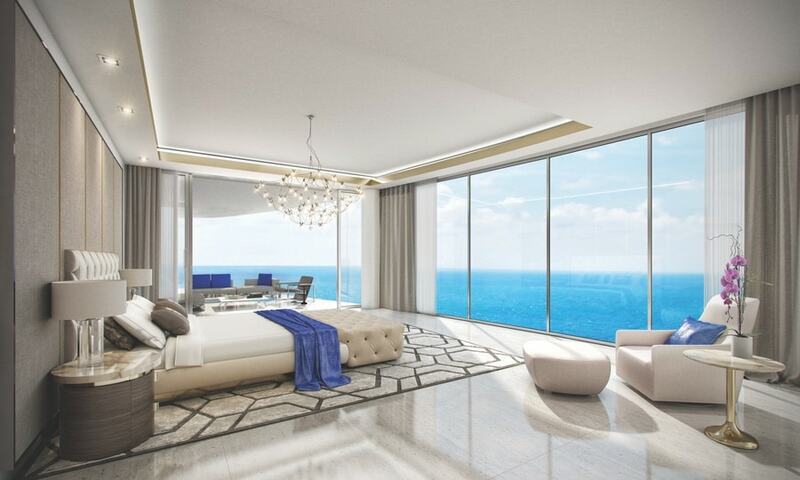 Acqualina’s new “estates in the sky” range from 2,915 to 6,500 square feet and will include top-of-the-line amenities throughout—not to mention incredible views. Since the glorious seaside location beckons all to spend time outdoors, The Estates, comprising over five and a half acres, promises lushly landscaped grounds for sporting and relaxing. 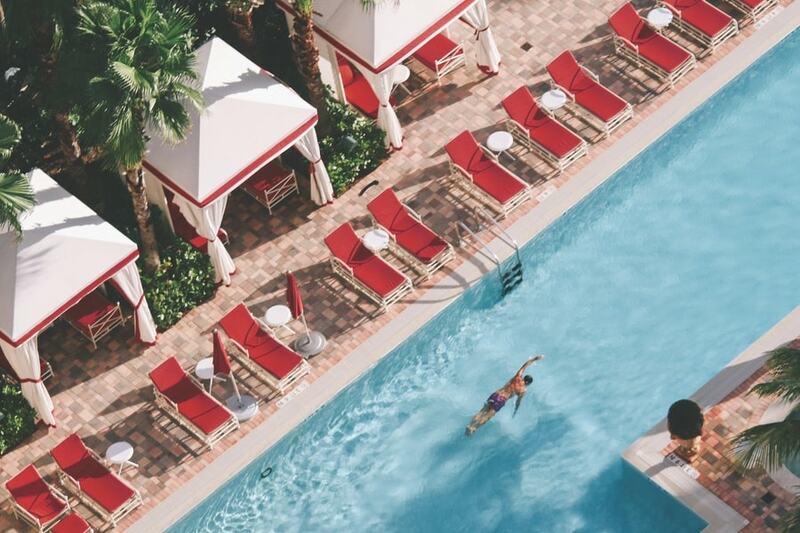 Complementing more than five hundred feet of beach are multiple infinity pools, an idyllic beachfront restaurant and bar, a basketball court, and even a FlowRider surf machine—all with every benefit of Acqualina Resort & Spa.